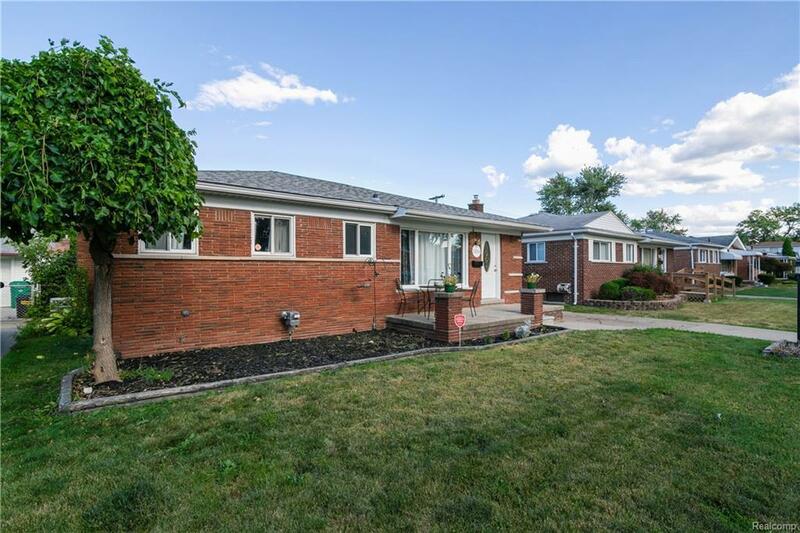 This immaculate, ranch home with a private backyard patio invites comfort and privacy. With 3 bedrooms with possible 4th, 1 and a half baths, generous living space and stylish finishes, you'll enjoy a perfect setting for relaxing and entertaining. Beautiful hardwood floors and plenty of natural night flow throughout the home's layout. Other special highlights include oak kitchen cabinets, all vinyl windows, new carpet in the basement, brand new AC unit (July 2018) and neutral paint throughout. Enjoy gatherings in the generously-sized living room and eat in dining area. The recently-renovated basement kitchen provides extra space for cooking and entertaining with its stainless steel appliances and bar seating area. You'll also love the convenience of your 2 car detached garage, and a great neighborhood near it all with the Metro, great shops, bars and restaurants minutes away.